Palmeri Law PLLC: White Glove Service. Boxing Glove Protection. White Glove Service. Boxing Glove Protection. Real Estate Law in New York and New Jersey. Our niche practice doesn't try to be all things to all people. Instead, we focus all of our time, efforts and energy on the Real Estate segment of the legal market. You will find that this focus distinguishes Palmeri Law PLLC from the oversupply of lawyers who attempt to do too much and eventually under-deliver. It is our mantra to never disappoint a client. Palmeri Law PLLC seeks to provide strategic Real Estate Planning by utilizing a global approach in order to maximize financial stability and clients' goals. The purchase or sale of Real Estate may be one of the most significant financial transactions that you will make in your lifetime. Whether you're a first-time home buyer or a shrewd Real Estate investor, Palmeri Law PLLC will provide the protection you require for all of your Real Estate needs. 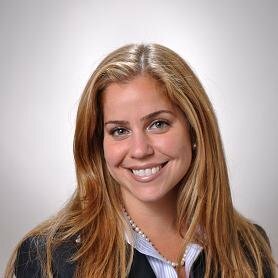 Kristin is a seasoned attorney who began her career on Wall Street as a Real Estate practitioner specializing in New York and New Jersey transactions. Kristin is highly detail-oriented in her personal and professional life and always serves to provide the maximum protection of her clients' rights and interests. Her individualized approach and unmatched analytical skills instill a level of comfort in her clients who are treated as if they are family. Kristin's philosophy is to provide unparalleled customer service. Her tireless dedication often yields loyal client relationships wherein clients retain her on multiple occasions to venture through the gamut of purchase, refinance and sale. Kristin's unmatched analytical skills and creativity allow her clients to be engaged throughout their Real Estate journey. © 2018 Palmeri Law PLLC. This website contains attorney advertising.